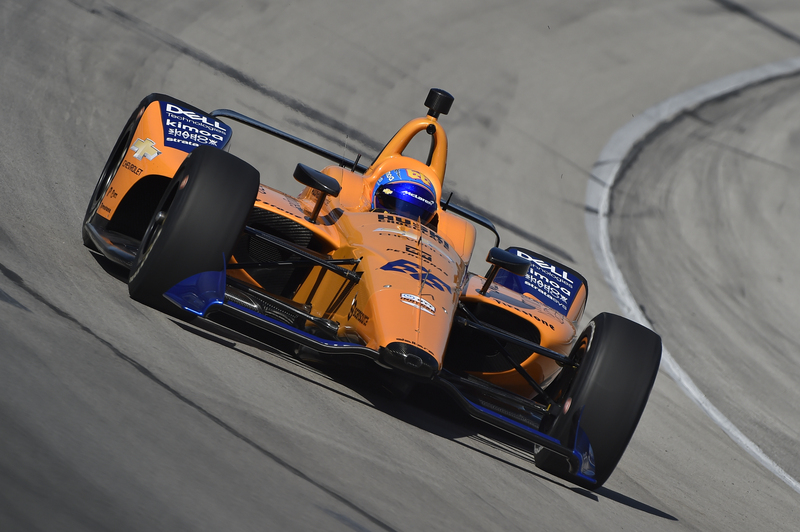 FORT WORTH, Texas – Two-time Formula 1 World Champion Fernando Alonso and Team McLaren conducted a one-day test Tuesday at Texas Motor Speedway in preparation for this year’s 103rd running of the Indianapolis 500. 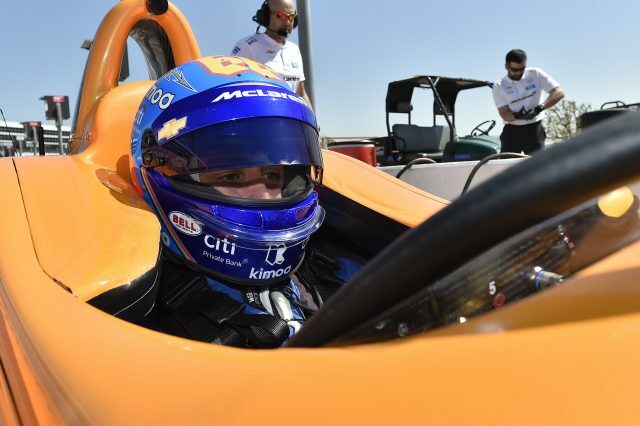 It was the first time in an Indy car on a high-banked oval for the Spanish driver who started fifth and finished 24th in the 2017 Indy 500, winning rookie-of-the-year honors. How were your first laps on an oval in almost two years? “It was great. Obviously, it’s only the first couple of laps with the car and we’re taking care of everything, slowly building the speed. But, yeah, I drove the Indy car at Barber (Motorsports Park) last year but it’s good to be back on the oval with a very specific setup and this car that turns left, self-steering a little bit. Again, some weird feeling for me but trying to get used to it. Also, the speedway is very special. There’s a lot of banking on the corner, especially in 3 and 4 so very different than Indianapolis but, hopefully, a good preparation for us. What can you take from this test and apply to Indianapolis? “Well, for myself, obviously it’s just about getting comfort in the car. Obviously, it’s a new car and a new team so, in terms of seat position, head rest, pedals, you know, steering wheel preferences, I think all these things I think now we can start the work. And for the team, I think it’s quite important to set up everything as a team: who does what in the team and also the people, the facility, everything is completely new for everyone. We’re trying to solve as many problems as possible here and the open test on the 24thand getting ready for the 500. What have you noticed in the different aero kit from your last time in an Indy car? “So far I think it’s too early to say because I’m not up to speed but, I guess, listening to everyone last year, I think there’s going to be less downforce, a little more tricky to drive, especially following, so today is not a problem because I’m alone but guess it’s going to be challenging. Especially this year, I am not in the Andretti (Autosport) environment so it’s all by ourselves this year, a lot to learn, a lot to understand and step by step. Is your quest for the Triple Crown heightened now that you have two of them down and are concentrating on the Indy 500? Are you going to keep coming back until you win the Indianapolis 500? “That’s a possibility. That’s definitely a possibility but, hopefully, we can be competitive at least this year and feel that adrenaline that only the Indy 500 has. In terms of winning, we understand how difficult it is. We respect a lot the race, our competitors and you need a little bit of luck as well. It has to be your day. Probably the race has to choose you, in a way, to win. We are aware of that. Some things are out of our hands so let’s concentrate on everything we can do as a team and make a perfect race. The outcome of the race let’s see at the end. What advice has Johnny Rutherford given you? Would you consider running the full INDYCAR season if McLaren came back with a dedicated team? Can you see yourself living in America full-time to do that? How much more prepared do you feel from two years ago? What’s it like being out here today with the McLaren team? What’s it like to see a McLaren orange paint scheme on the track again? Is this your favorite time of year? Have you spoken to Fernando about this year’s 500? How do you see Fernando’s strengths since he doesn’t have much oval experience? 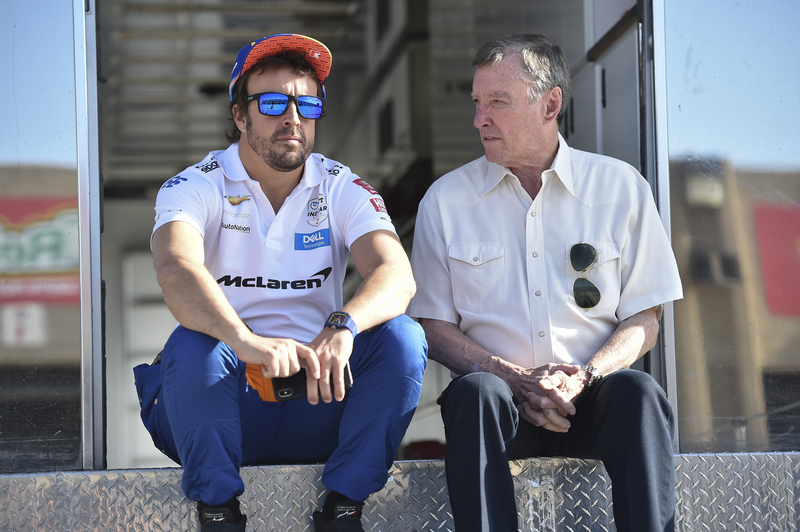 How do you see Alonso fitting into the McLaren’s INDYCAR family, alongside yourself and Peter Revson and some other huge names? Also in attendance was Texas Motor Speedway President Eddie Gossage. Below are his thoughts on the Alonso/McLaren test. 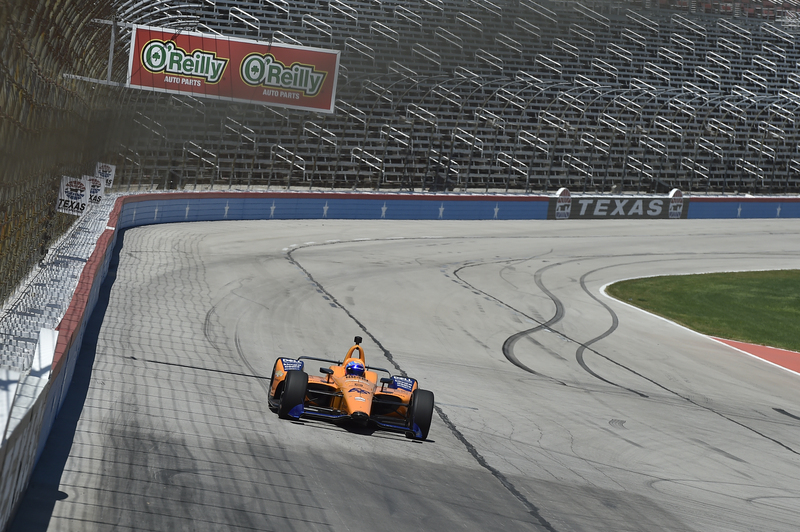 What are your thoughts on having Fernando Alonso on the track today at Texas Motor Speedway? 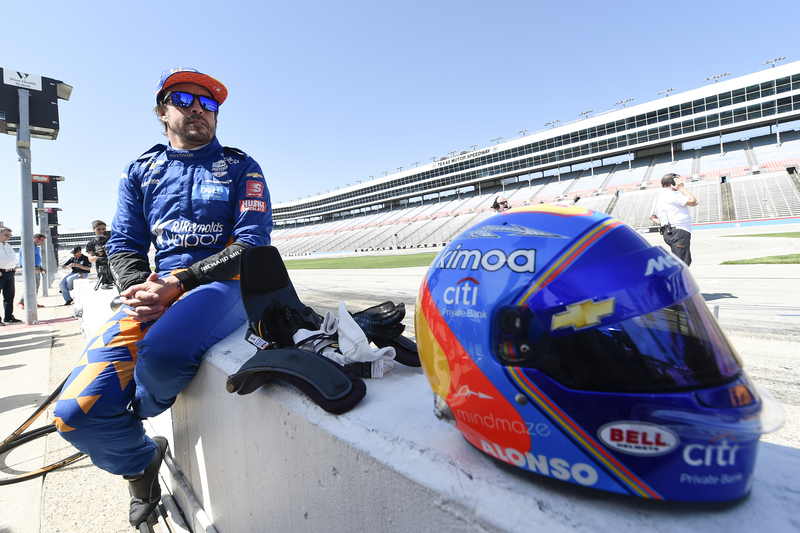 Are you excited to see Texas Motor Speedway provide Alonso an experience he’s probably never had before? What is he going to be up against in the Indy 500 from a driver talent standpoint? What would Alonso winning the Triple Crown mean to the world of motorsports? 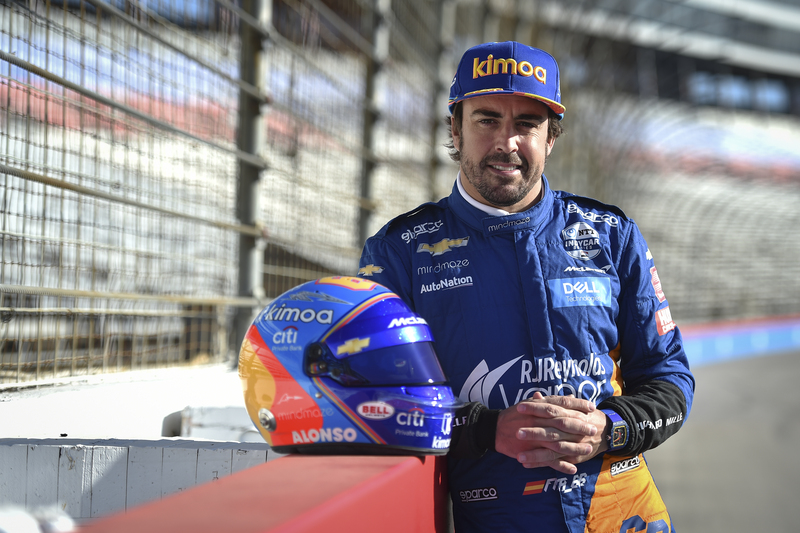 Have you had a chance to talk to Alonso about joining the INDYCAR Series fulltime? Note: The INDYCAR Series DXC Technology 600 weekend is scheduled for June 6-8 and will include the NASCAR Gander Outdoors Truck Series Rattlesnake 400.